Lahore: 03-12-2018: A 10-member delegation of Indian Medical Association headed by its President Professor Ravi Wankhadeker called on Speaker Punjab Assembly Ch Parvez Elahi at his residence and delivered him a goodwill message from Indian Punjab Chief Minister Captain (R) Amarinder Singh on opening of Kartarpur Corridor here today (Monday). The delegation also met Pakistan Muslim League (PML) President and former Prime Minister Ch Shujat Hussain. Ch Parvez Elahi said that opening of Kartarpur Corridor will facilitate Sikhs community in reaching their holy places easily and good relations will be promoted between the two countries, Pakistan Governments attaches importance to all holy places of Sikhs and yatries are being provided all possible facilities. Ch Parvez Elahi said that the doctors are messiah of mankind and they serve the people without any differentiation between creed and colour. 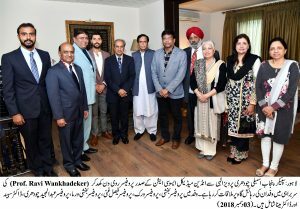 Delegation President Professor Ravi Wankhadeker said that Ch Parvez Elahi’s establishment of Rescue 1122 Emergency Service, provision of free medicines and medical facilities in the hospitals and other revolutionary measures in the health sector are ample proof of his peoples’ friendship. 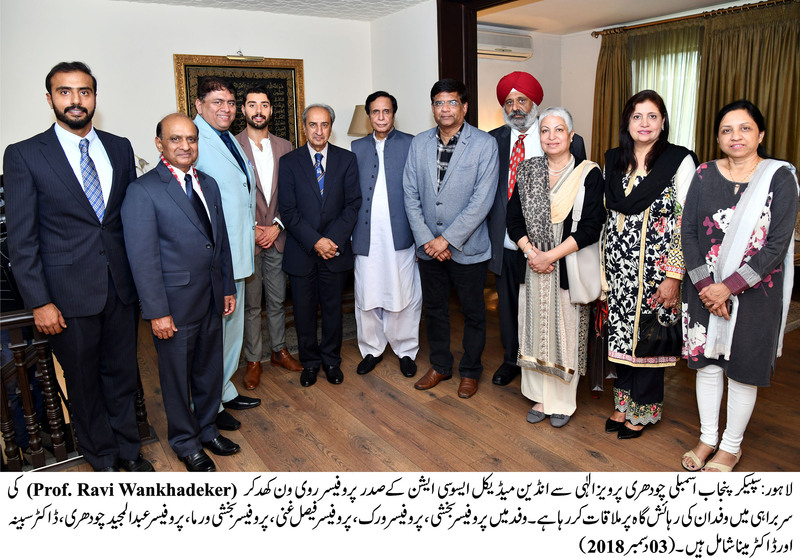 The delegation included Indian Medical Association Vice-President Professor Bakhshi, Professor Virk, Professor Faisal Ghani, President Nepal Society of Surgeons Prof. Bakhshi Verma, Prof. Abdul Majeed Choudhry, Dr Sabeena and Dr Meena.